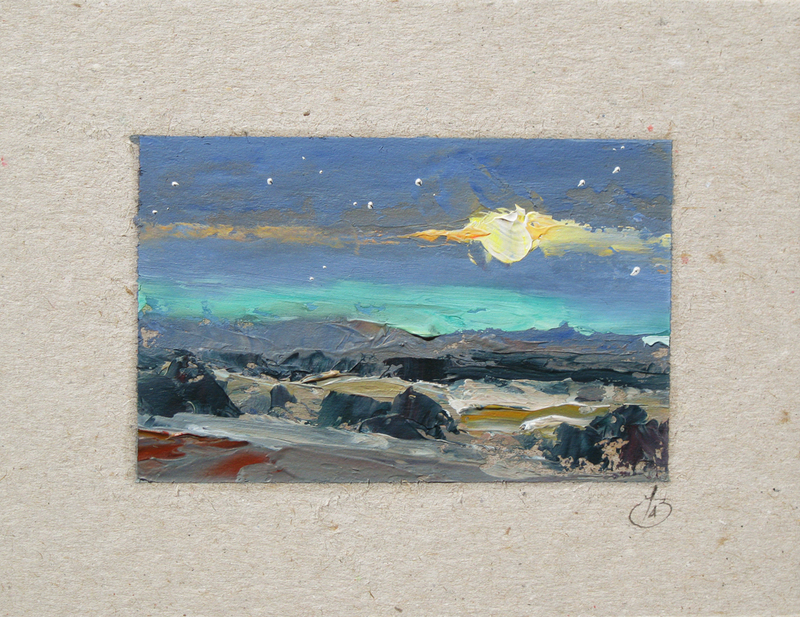 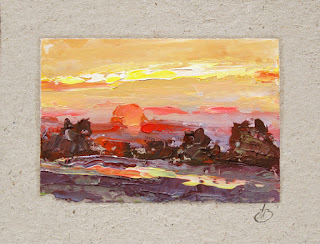 I call these small paintings on art cards "POCKET PAINTINGS" because the painting kit I use to create them is so compact it fits in my pocket. It's a great way to capture the inspiration of the moment and preserve the memory to share with others. 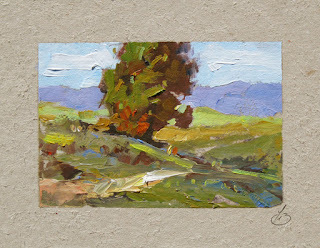 This painting is the size of a postcard, yet it's an original oil painting that was created while working directly from Nature on location, which is called "Plein Air" painting. 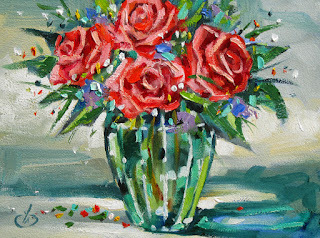 Paintings like this make wonderful Collector's Items. 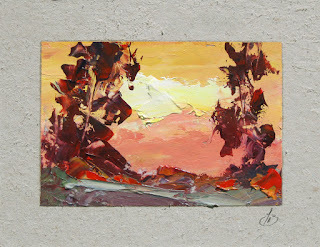 I call these small paintings "POCKET PAINTINGS" because the painting kit I use to create them is so compact it fits in my pocket. It's a great way to capture the inspiration of the moment and preserve the memory to share with others. 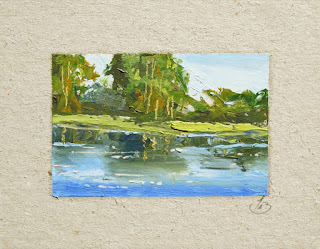 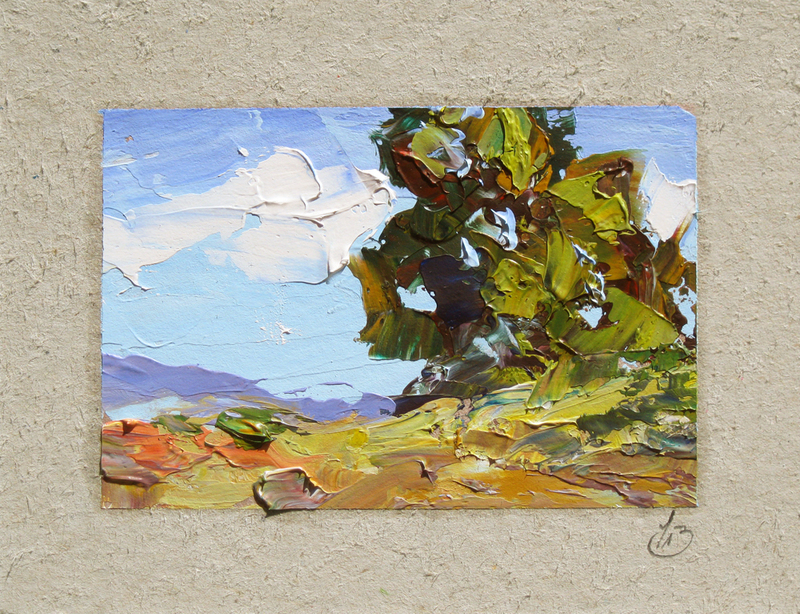 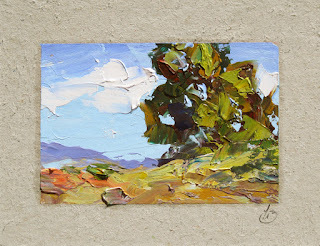 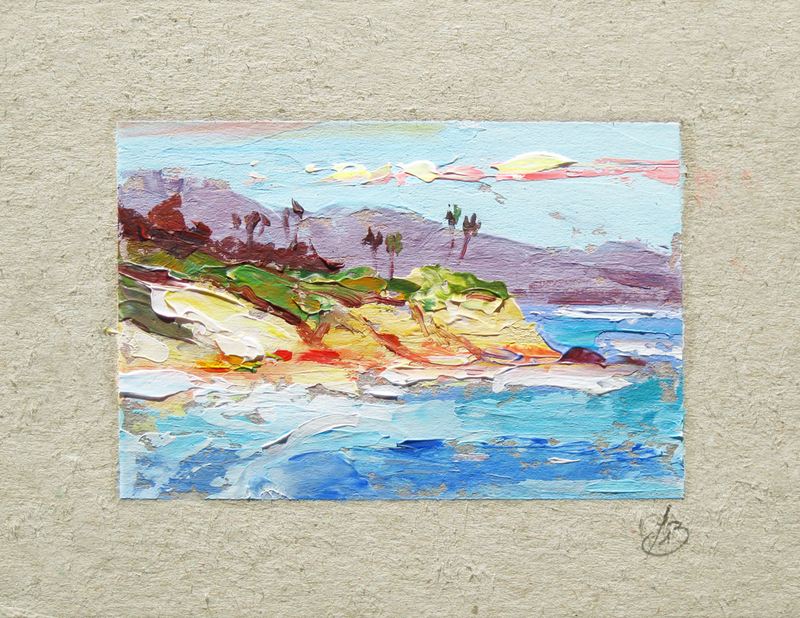 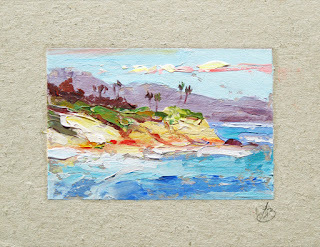 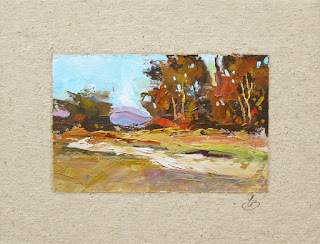 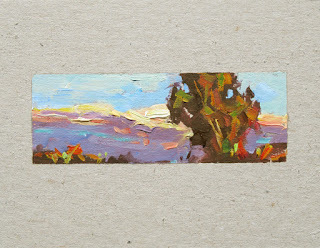 This painting is about the size of a postcard, yet it's an original oil painting that was created while working directly from Nature on location, which is called "Plein Air" painting. 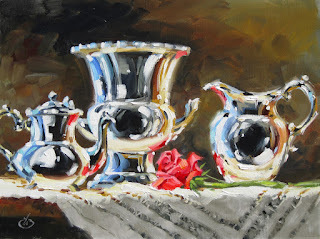 Paintings like this make wonderful Collector's Items. 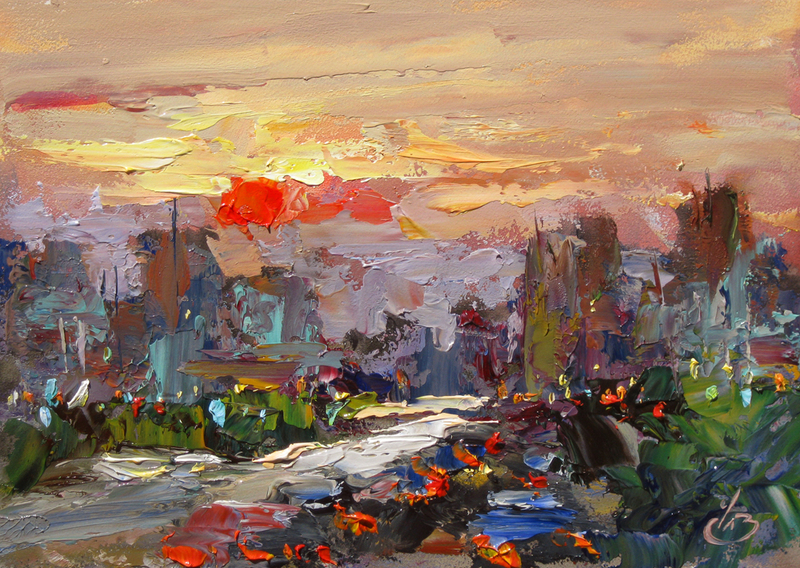 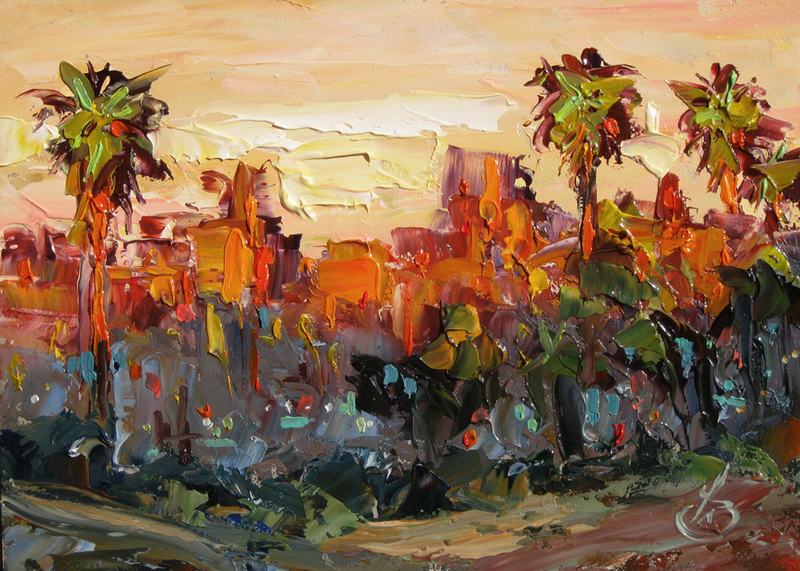 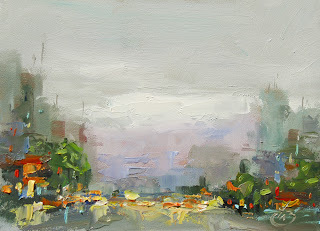 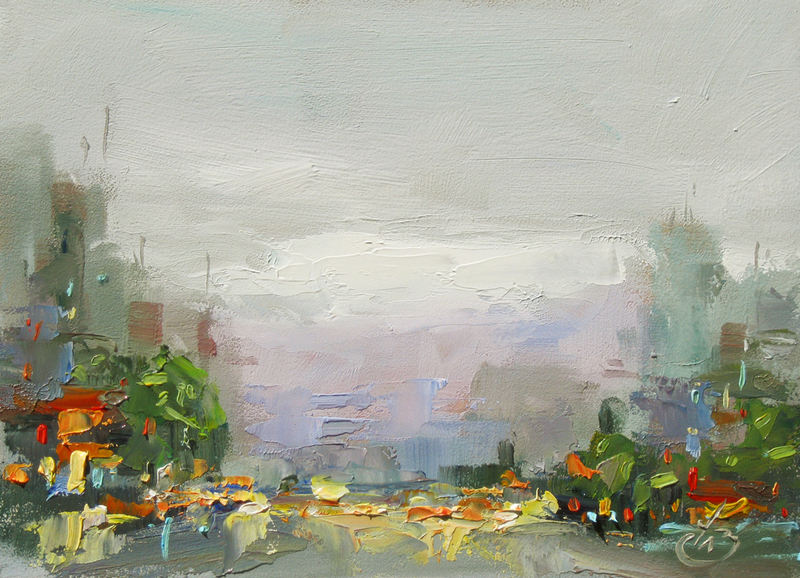 "CITY LIGHTS IN THE FOG"
Palette knife paintings have a crisp freshness and feeling of spontaneity. Paintings like this border on the abstract while simultaneously depicting the actual subject. 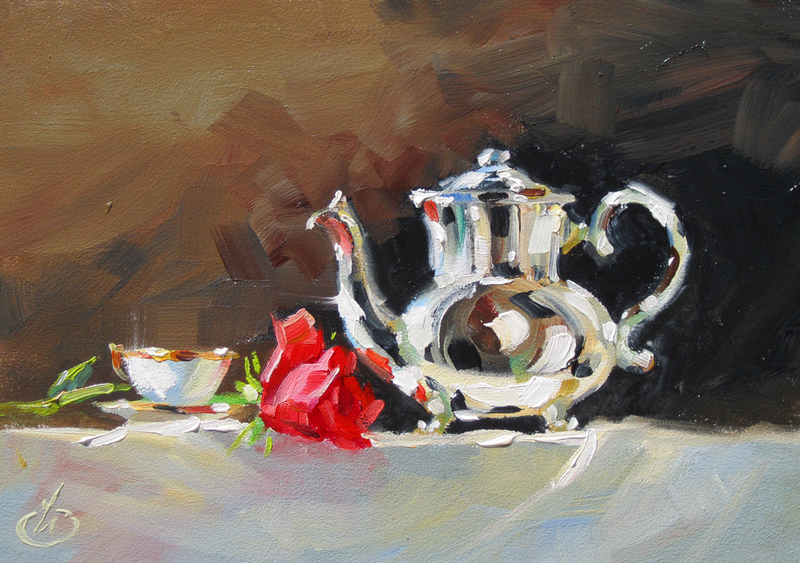 It’s a fine balancing act to pull off, and a pure delight when it works. I was very pleased with this one; hope you like it too. 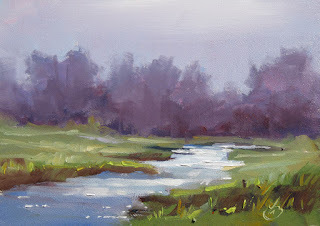 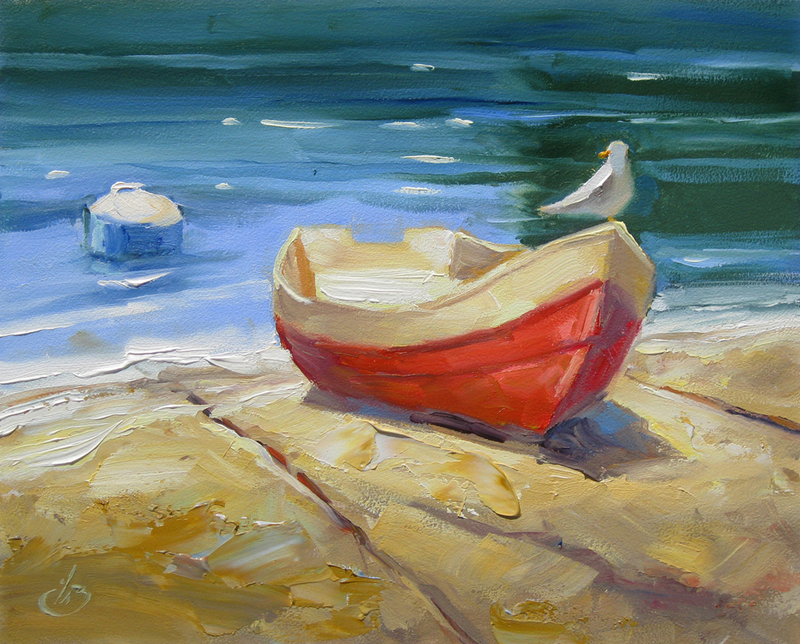 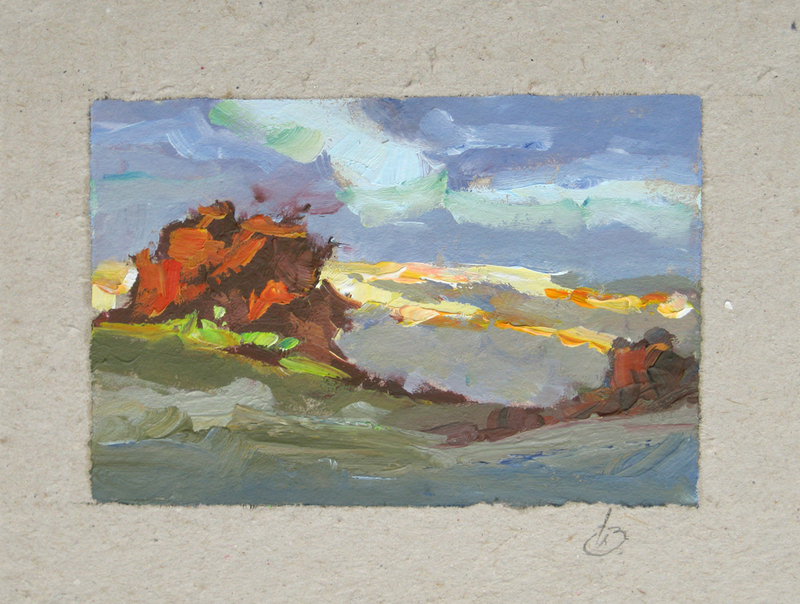 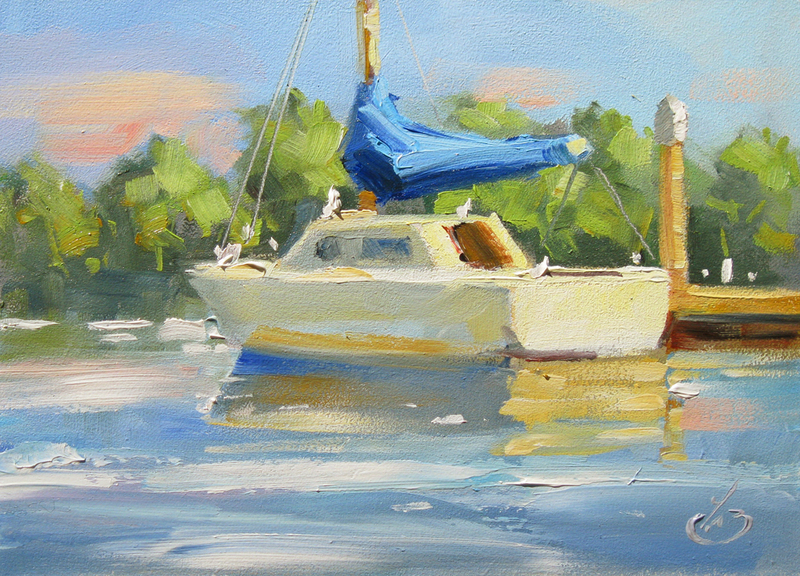 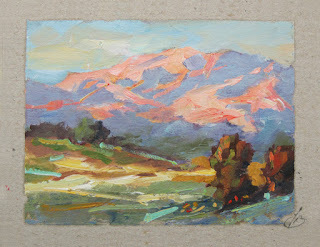 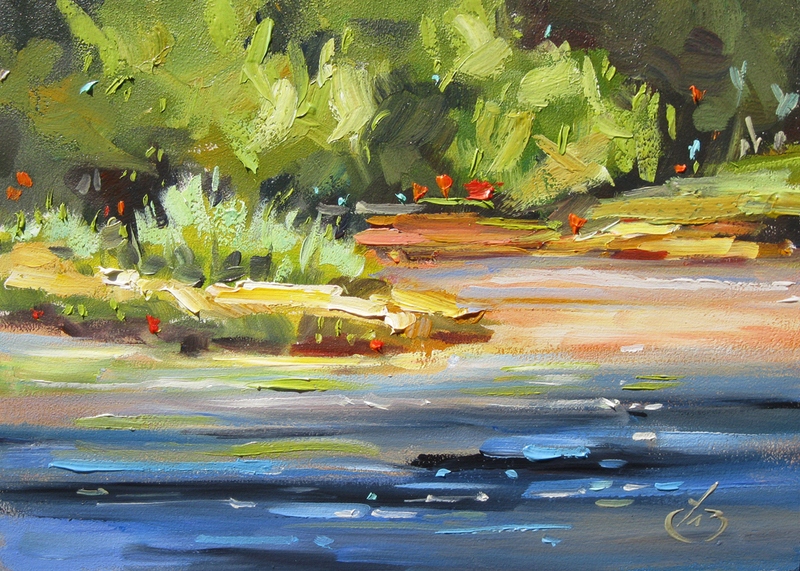 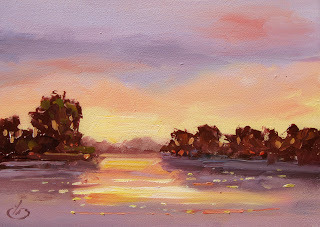 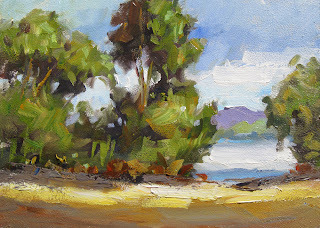 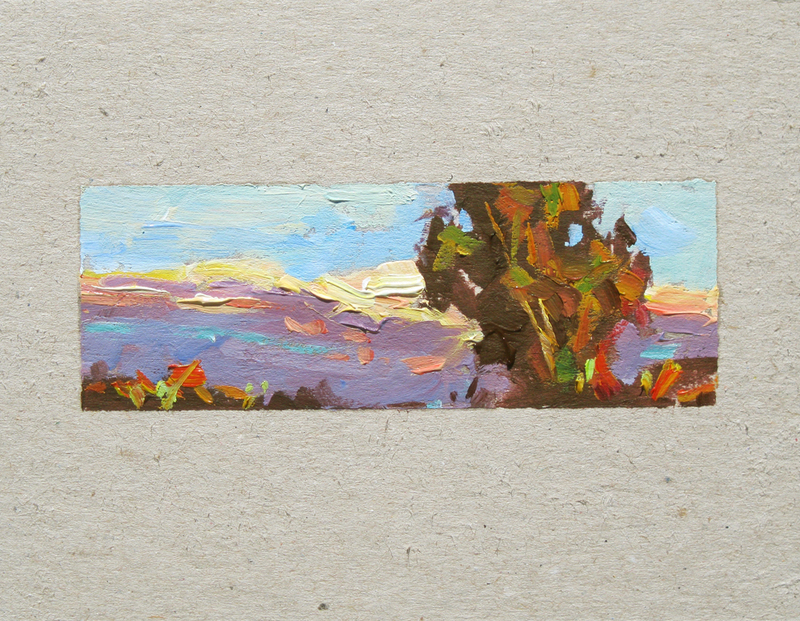 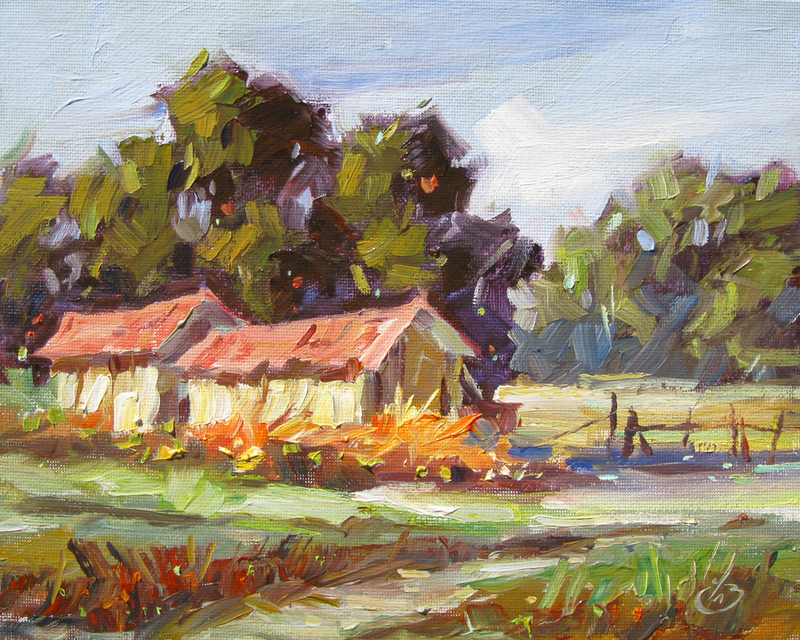 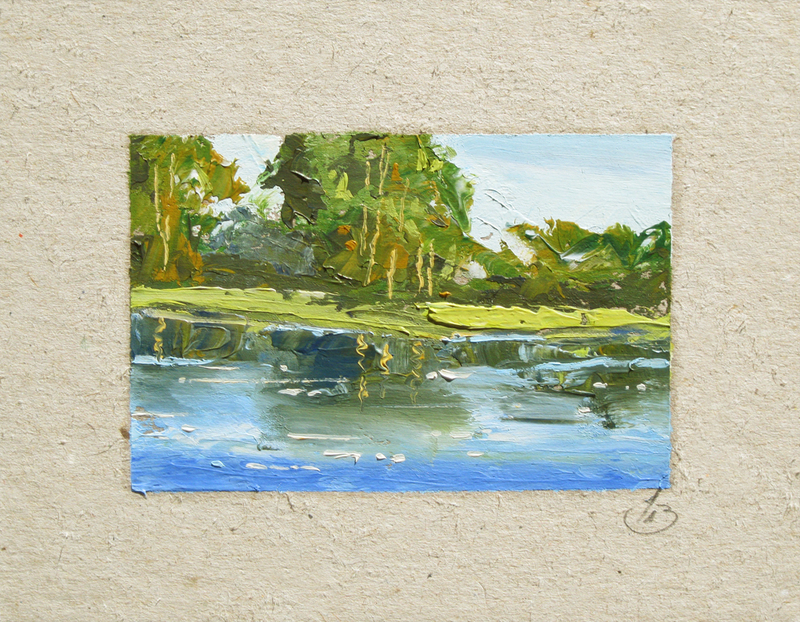 This was a demonstration painting I did for a group of other artists in a Plein Air Workshop I taught. I thought it might also be interesting to show the organizational sketch I did to show them how I planned to compose the painting. 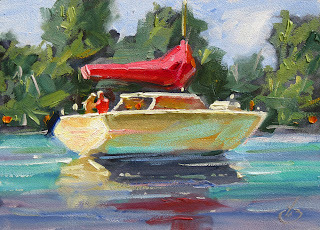 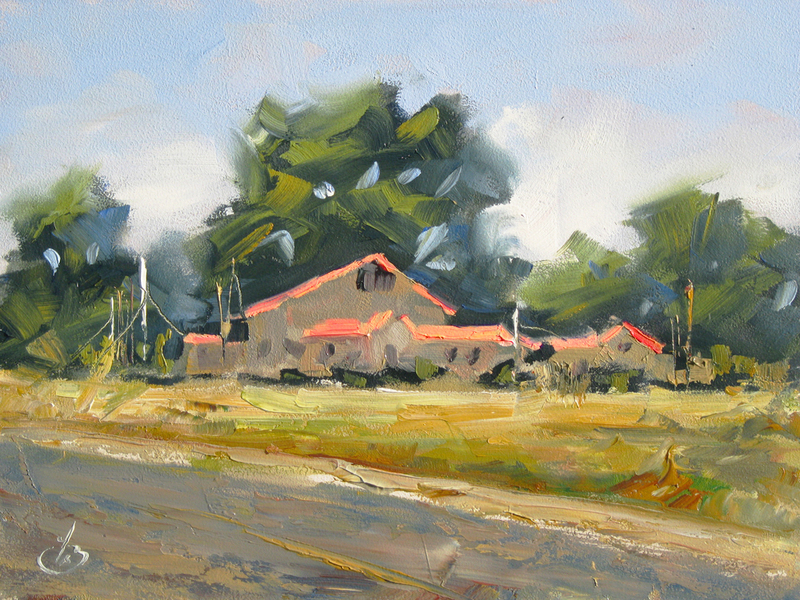 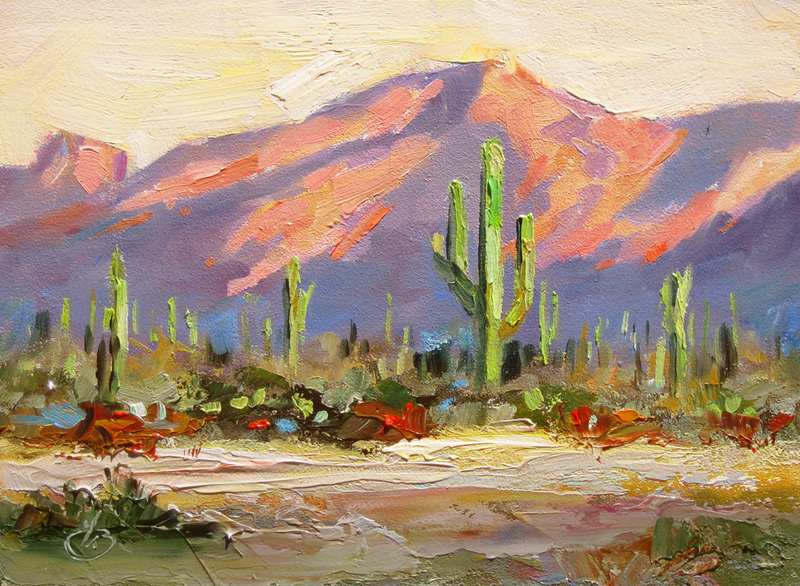 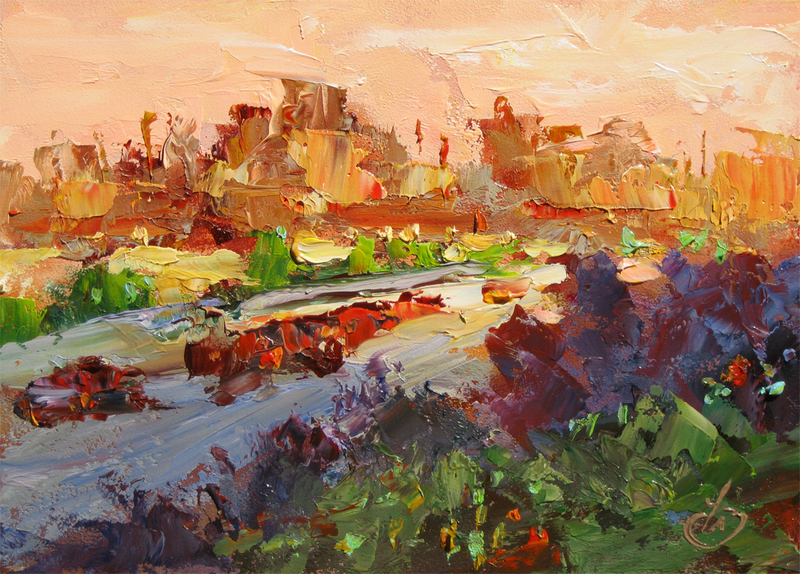 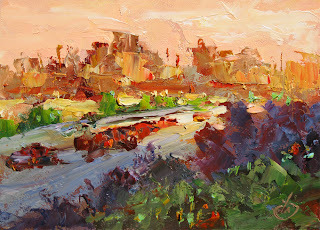 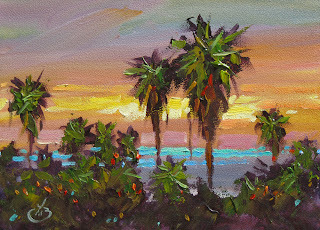 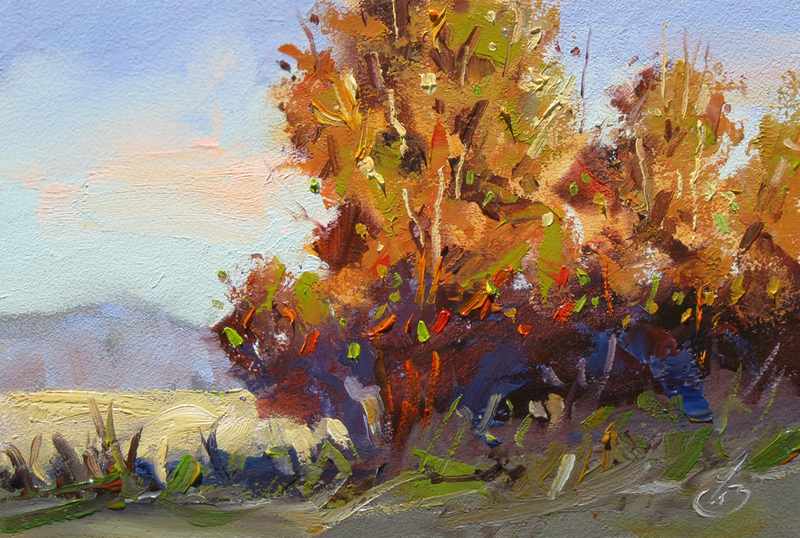 This was painted entirely on location as a demonstration for the other artists in a Plein Air Workshop I taught. 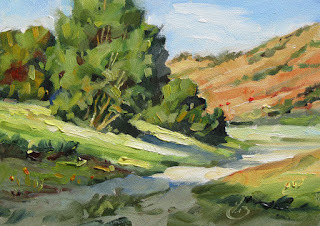 It was a peaceful location with comfortable weather and marvelous scenery to inspire us all. We had a terrific day and I think it shows in this painting.